When you look at the pharmacological options for getting a good night’s sleep, some of them are scary and many don’t work. Drugs like ambien have diminishing returns and weren’t made to be taken as a long term sleep aid. Ambien can also make you loopy AF (never text on Ambien, please) and has an encyclopedic list of side effects. If you feel like you need more shuteye (you probably do), there’s a chemical in weed that helps you fall and stay asleep. It’s called Cannabinol or, CBN. CBN is what happens to THC once it oxidizes (aka gets old). Remember that weed they found in the 2,700 year old ancient Chinese tomb?The largest cannabinoid peak was CBN. CBN (according to Steep Hills and a study that extrapolated its findings from a 1995 study with mice) has been found to be stronger than diazepam, a mild pharmaceutical sleep aid and is only mildly psychoactive when taken in the proper dose. It helps you fall and stay asleep with the cannabinoid lasting in your system for approximately 5-6 hours. 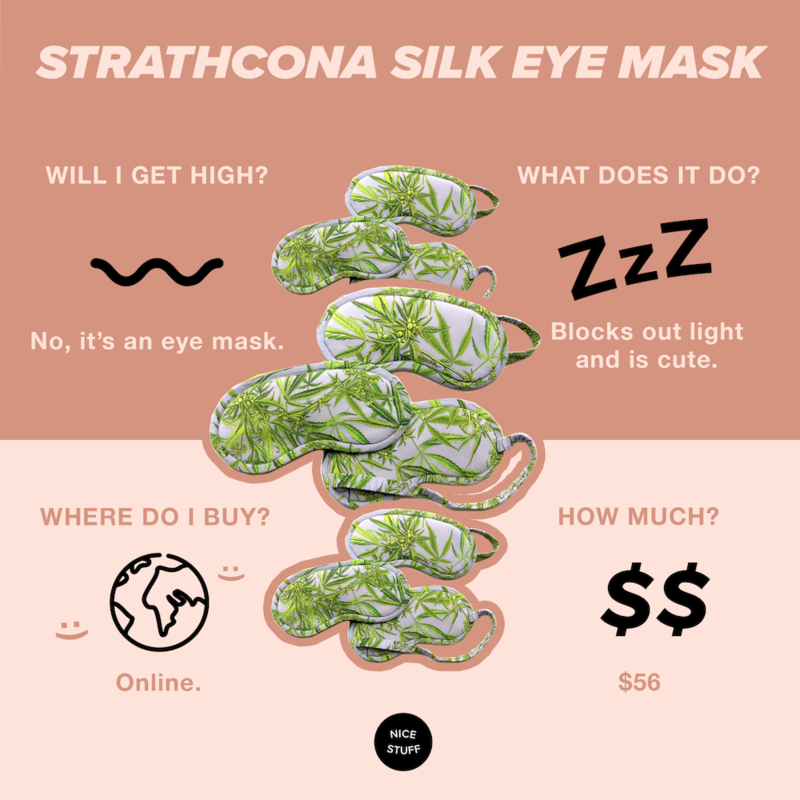 While CBN is directly associated with sleep, CBD has also been found to be helpful as a sleep aid due to its efficacy in dampening anxiety and dampening adrenal responses. 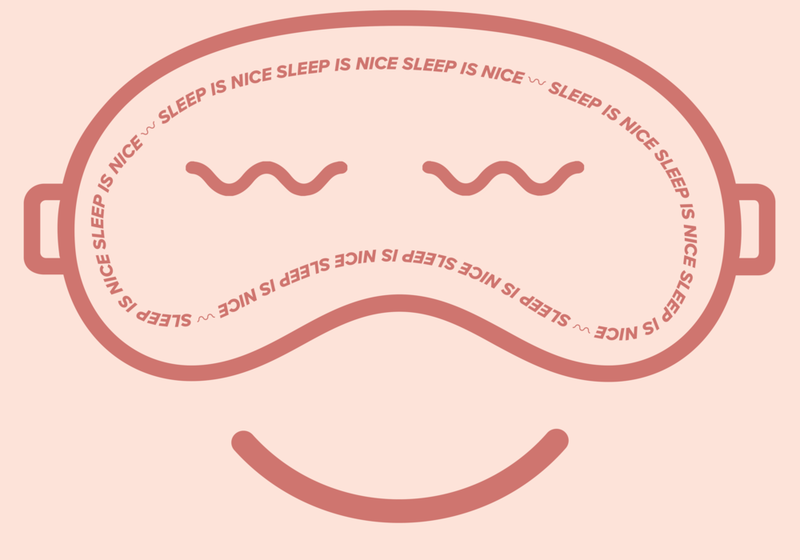 To help you get some shut eye, here are some products we think make for nice dreams. Not anymore buddy. You’ll be fast asleep. Because of your sleeping mask. That’s pretty nice. Promise we’re getting to the actual weed. This PJ and sheet set is something we’ve been coveting for quite some time. As nice things come to those that wait, the sheet set is only $60, double dream(y). Vaping, as we know, is a fast way to feel the effects of cannabinoids. A blend of CBD, a cannabinoid that dampens anxiety, and CBN, a sedative cannabinoid, this pax pod will help you chill out and have a blissful sleep. 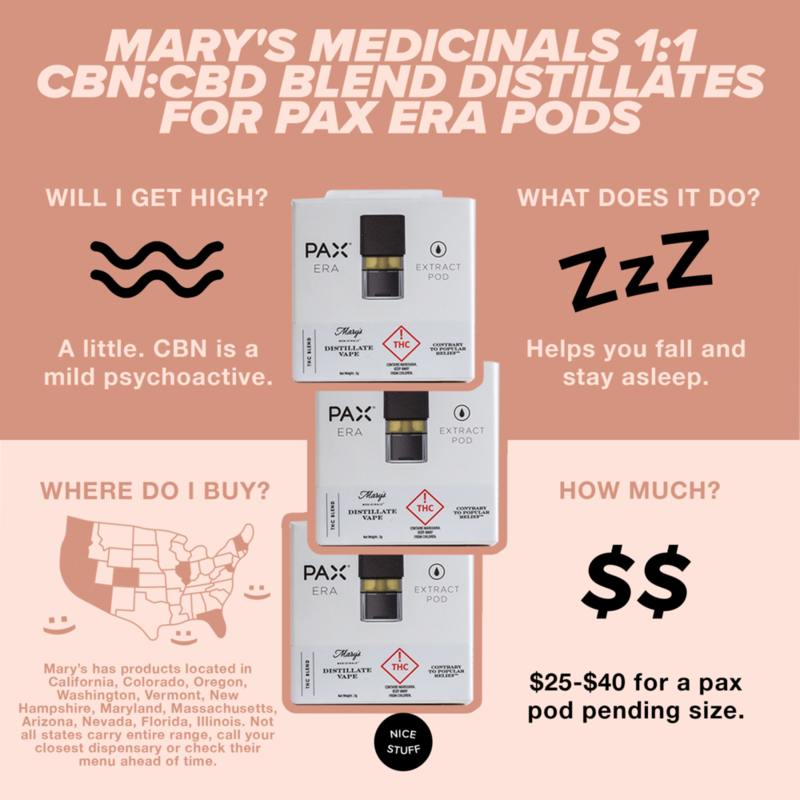 If you don’t want to dissolve anything under your tongue or vape, Mary’s Medicinals has a CBN pill that is dosed at 5mg which, according to Steep Hill, is about as strong as 10mg of diazepam. Don’t want anything near your mouth? Mary’s Medicinals has a 100mg pen that dispenses 2mg of CBN per dose with effects lasting 4-6 hours. Just apply to a venous part of your skin (temples, inner wrist, inner elbow, side of your neck) and expect effects to kick in within 30 minutes. Mary’s Medicinals also has a transdermal CBN patch if you want something that has a longer release time (8-12 hours). We’ve written about this tea in the past, but felt it important to bring up again. With a 60 minute onset time, this tea is the real sleepy time tea. A blend of 5mg of CBN and 3mg of THC this will help you go to sleep and stay asleep with no groggy mornings. How do you GTF to sleep? Miss any CBN products you love? Let us know.